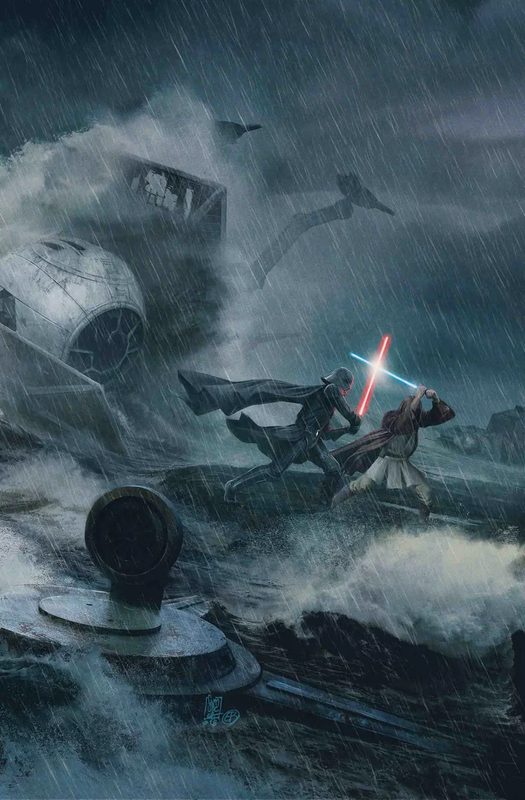 CONTINUING THE UNSEEN EVENTS OF THE FORCE AWAKENS! 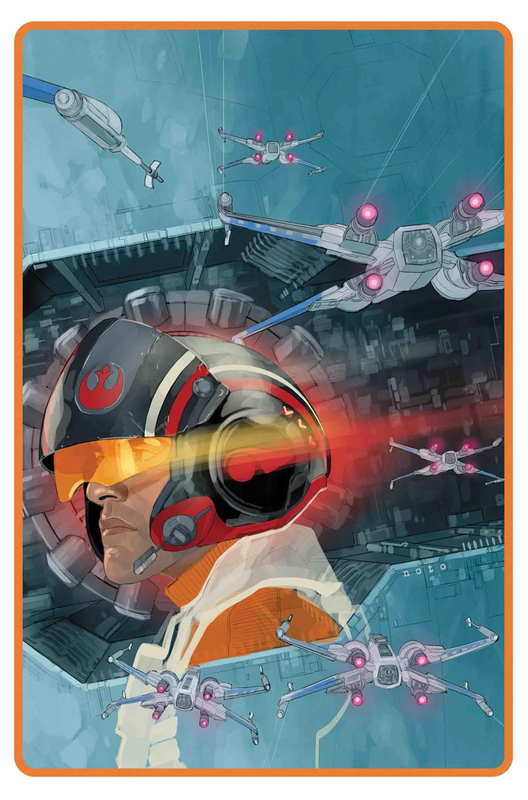 As Starkiller Base targets the Resistance for elimination, it’s up to Poe Dameron and Black Squadron to mount a frontal assault and take the weapon offline…as long as their friends on the ground can get the shields down! 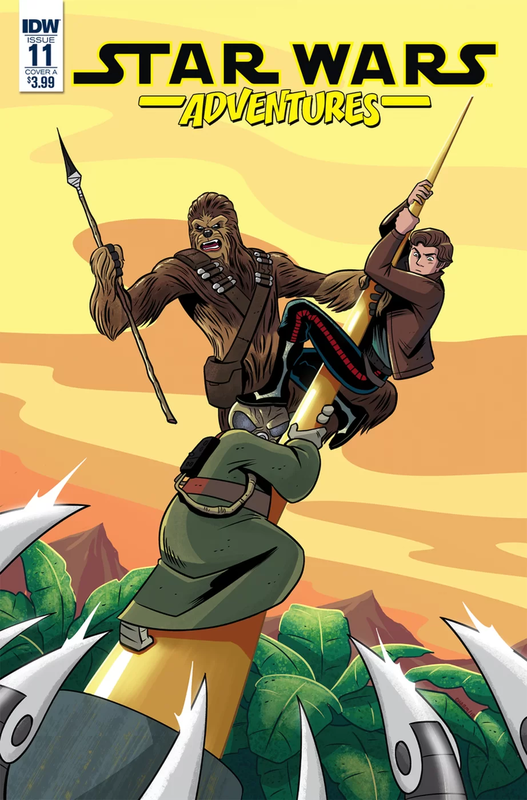 Star Wars Adventures #11 wraps up the Han and Lando stories. Click here to read our full review. Darth Vader #17 delves into some grim dark territory as the villains win and the good guys lose. Click here to read our full review. 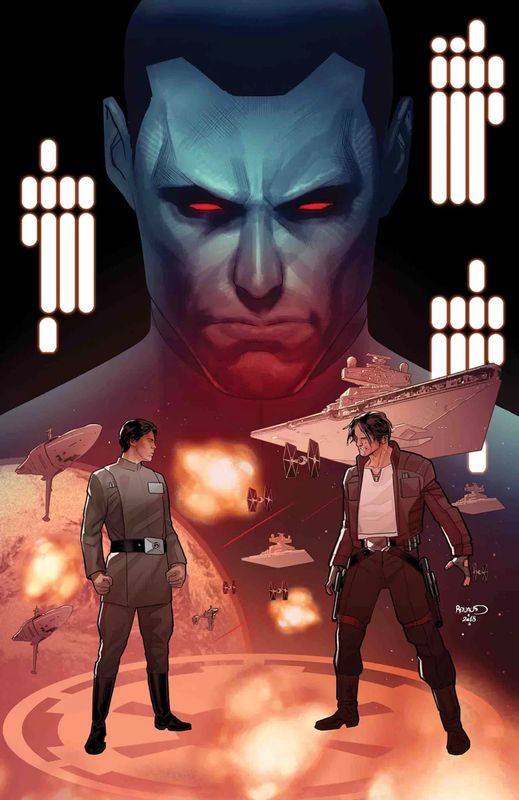 With just one more issue to go in the mini-series, Thrawn #5 brings things close to the endgame as Thrawn and Nightswan square off. Click here to read our full review. Latest Databurst From the 501st covering 501st Legion events around the world from June 20 to 26th. As always, be sure to mark your calendars and support your local garrisons. Florida Garrison will be in Fort Lauderdale, FL for the Wilton Manors Stonewall closing event at Xtreme Action Park at 8:00 PM. Garrison Carida will be in Fairfield, PA for Camp Happy Valley from 3:00 to 4:00 PM. Midwest Garrison will be in Marion, IL for Jedi’s In Training at the Marion Carnegie Library at 10:00 AM. UK Garrison will be in London for H4H Transport for London Flag Day at Canary Wharf Station from 10:00 AM to 4:30 PM. Garrison Carida will be in Reinhold, PA for Star Wars Family Fun Night from 3:00 to 6:00 PM. Japanese Garrison will be in Sapporo City for the Greenbird Volunteer Cleanup. Star Garrison will be at the 2018 CatFish Fry benefiting the SPFB.